On February 15, 2018, we lost our friend and esteemed colleague, Professor WANG Wen Chung (王文中教授). 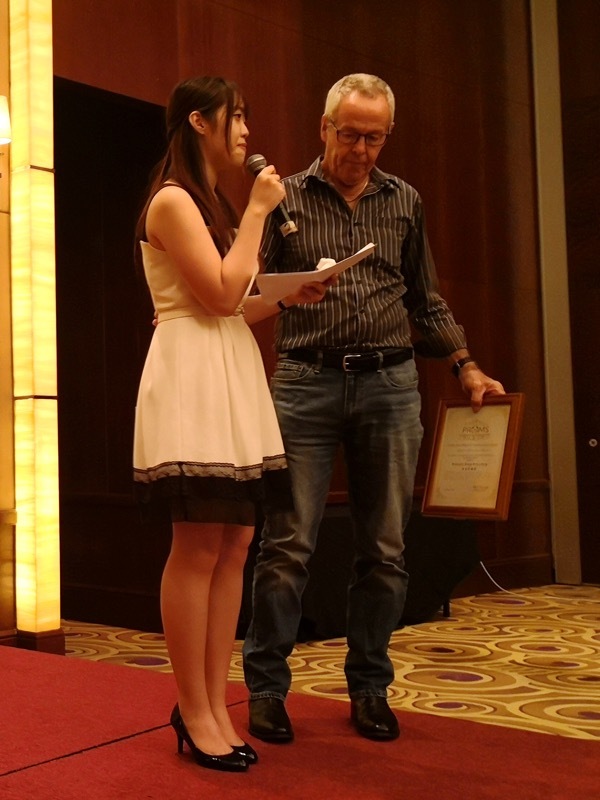 On July 26, 2018, at the PROMS 2018 conference banquet held at the Crowne Plaza Fudan Hotel in Shanghai, his daughter Janice accepted the PROMS Lifetime Achievement Award on his behalf. 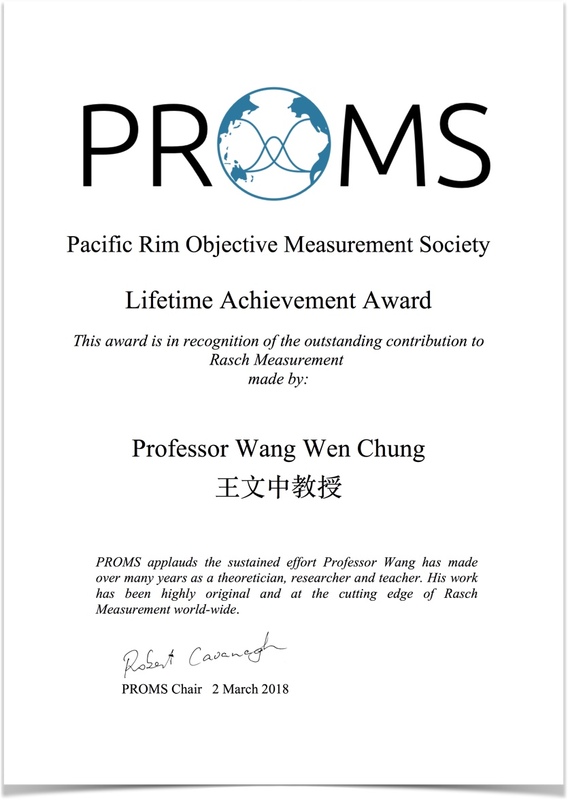 Her moving speech served as a testament to the great contributions Professor Wang made not only to Rasch measurement, but to his colleagues, his students, and his family. We share Janice’s speech below to both honor Professor Wang’s memory, but also to express our gratitude to Janice for sharing this with us. Good evening ladies and gentlemen. I am Janice Wang, the daughter of Wen Chung. It is my utmost pleasure to receive this Life-time Achievement Award on behalf of my father. Unfortunately, he passed away this February due to lung cancer, and therefore he could not come to Shanghai and receive this award. What I know is, this award meant a lot to him. It is such a big recognition to his academic performances for the past 30 years. From a daughter’s observation, I would say research is his life. I had been living with him under the same roof for more than 20 years, he was always using desk top, notebook, iPads and iPhones for writing his papers and doing his research, whereas I always used these devices for entertainment. Even during our family gathering times, he was still working, revising his papers, discussing with his students and thinking of new research areas. Sometimes, I got quite annoyed with this workaholic. So I decided to ask, “Why are you so obsessed with and devoted to your work? Don’t you feel tired? Don’t you wanna get rid of all these after working hours?” As far as I remembered, he didn’t really give me any concrete or detailed answer for these questions. Research makes my Dad shine. Especially for the past 10 years in Hong Kong, I can tell my Dad was happy, confident and satisfied. I would like to especially thank Professor Trevor Bond for initiating this award and recognizing his effort. This means a lot to my father and our family. It is my great honor to work with my colleges, students and friends. The academic achievement belongs to all of my research partners. It is the grace and gift of the God. Step by step, we made our way! Once again thank you all for your long-lasting support and love! I believe he is watching this ceremony now and feeling really blessed and grateful.